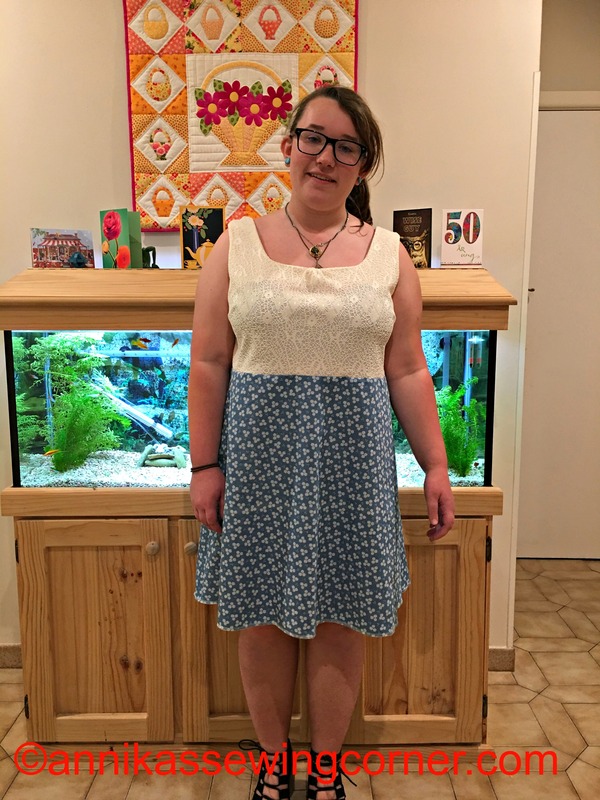 I finished this dress for my youngest daughter last night. She told me some time ago that she wanted a dress with a lace pattern on the top half and denim on the bottom half. It is actually not denim but tencel which is a lot thinner and softer. Works well for a summer dress here. 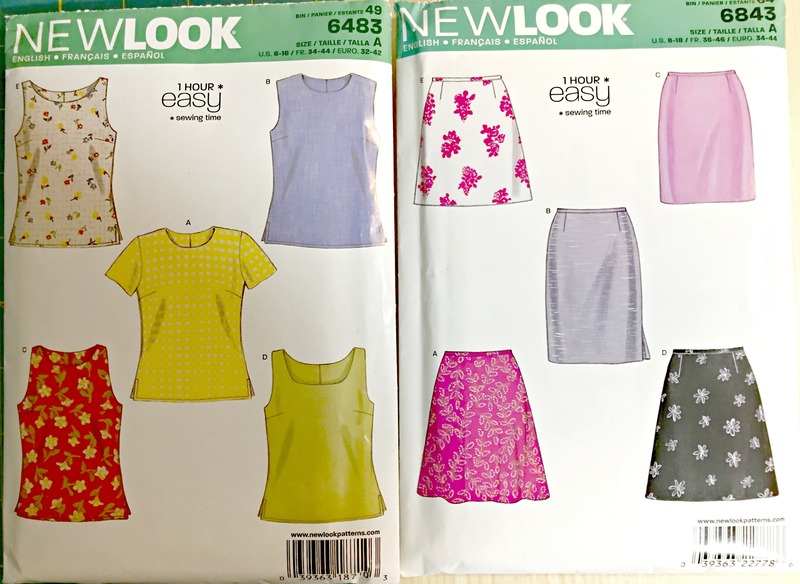 I used two patterns: Newlook 6483 view D for the top half and Newlook 6843 view A for the bottom half. I shortened the top quite a bit of course and added 1 1/2″ at the waist in the side seams on the skirt to make it fit with the bottom edge of the top. I also put in a 20″ zipper in the back. As I have said before, I love it when the kids ask me to make things for them. This dress turned out great and she was happy too.